Home > News & Events > Industry & Advocacy News > Did Big Bang Theory Use Soft Kitty Without Permission? 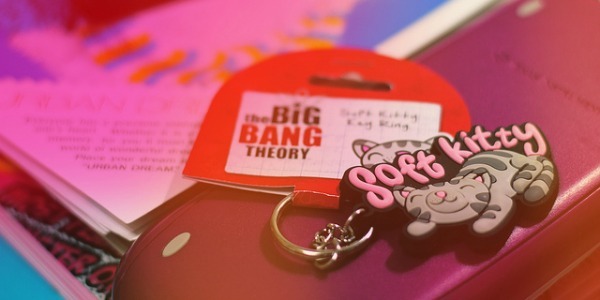 Did Big Bang Theory Use Soft Kitty Without Permission? This week we filed a friend-of-the-court brief supporting the daughters of the author of a 1930s children’s poem in a copyright lawsuit against the creators of the hit television show, “The Big Bang Theory.” The suit concerns the song “Soft Kitty,” which is often sung by the characters on the show and has resulted in a host of tie-in merchandise featuring the song’s lyrics. In their lawsuit, the daughters claimed that the show used their mother’s poem without permission. The show’s creators argued that the poem had fallen into the public domain because the author did not file an application to renew her copyright back in the 1960s. However, the publisher of the songbook in which the poem was originally published had renewed the copyright in the poem, and the daughters argued that this was sufficient. After a lower court ruled in the show creators’ favor, the daughters appealed to the Second Circuit court of appeals. The issue before the Second Circuit is whether the publisher’s renewal was sufficient to renew the author’s rights on her behalf, or whether the author herself was required to file the renewal to prevent her work from falling into the public domain. Our filing argues that the publisher’s renewal should be sufficient to protect the rights of the author and her heirs under the copyright law and urged reversal of the lower court’s decision. The brief stresses the importance of an interpretation of the law that avoids harsh results if an author failed to follow the technical requirements under prior versions of the Copyright Act. We also advocated for an approach which takes into account longstanding practices in the publishing industry and which protects the rights of authors and their heirs from forfeiture.